In the latest issue of Esquire, INTO TOMORROW by Paul Weller and Lawrence Watson tops the magazine's roundup of the 10 best gifts 'for the music lover in your life'. Described as 'perhaps the loveliest gift you could give the music fan on your list', Esquire praises Weller's new edition as a 'deluxe pictorial history of the renowned English rocker and style god'. 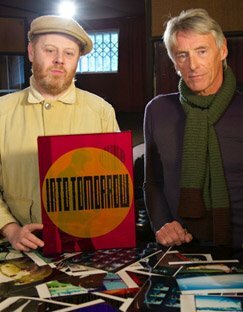 Order your copy of INTO TOMORROW before 31st December to receive free delivery worldwide. To browse a selection of our readers' favourite editions offered with free shipping in this year's Gift Guide, click here.